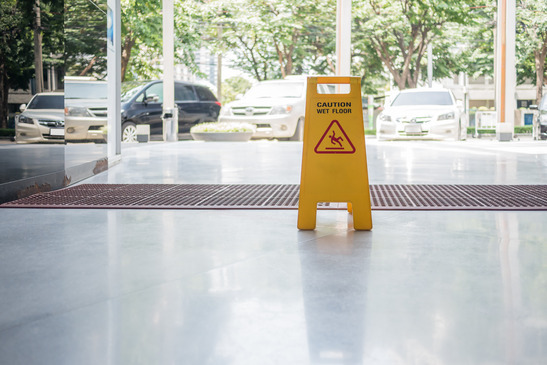 What Constitutes a Slip and Fall Case in Florida? You are here: Home » Personal Injury Law » What Constitutes a Slip and Fall Case in Florida? Posted in Personal Injury Law | Comments Off on What Constitutes a Slip and Fall Case in Florida? When considering whether or not you may have a slip and fall or trip and fall case in Florida, there are some things you should know. The duty to warn of concealed dangers which are known or should be known to the owner and which are unknown to the invitee, and cannot be discovered through the exercise of due care. If the slip and fall or trip and fall occurs at a business establishment and is due to a substance (known in Florida legal talk as a “transitory foreign substance) on the floor, such as water, oil, food, etc., the claimant must prove the business establishment had actual or constructive knowledge (meaning “should have known”) of the dangerous condition and should have taken action to remedy it. Do you need a slip and fall attorney? If you were injured due to a slip and fall or trip and fall, contact the Law Offices of Kerri C. Smith, P.A. today to learn about your rights.